Spray Nine’s incredible dirt-busting power tackles the toughest cleaning jobs other products can’t touch. 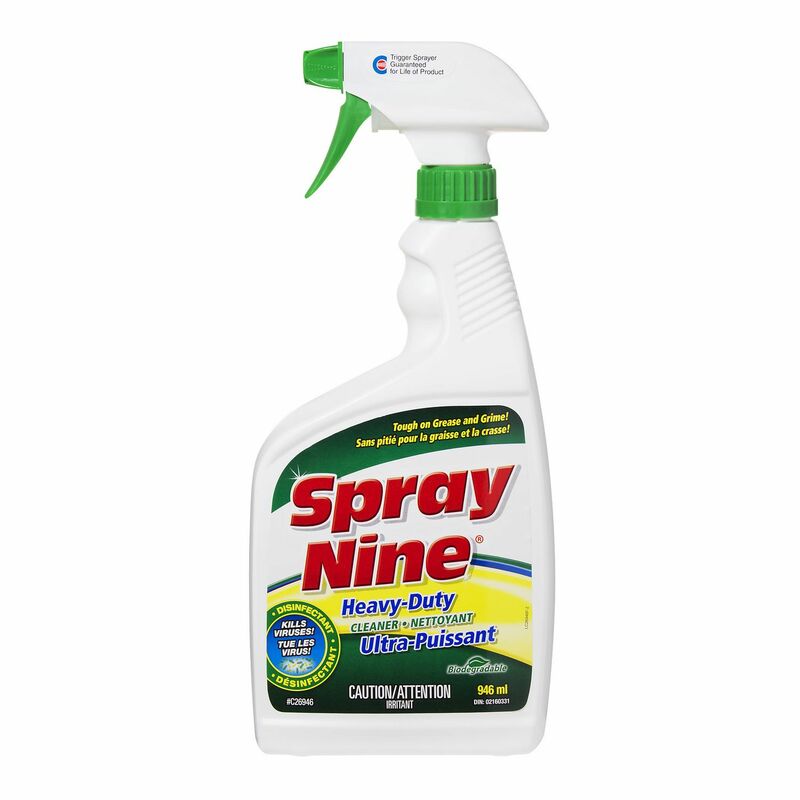 Spray Nine® cuts through stubborn grease, grime and hard-to-remove soils. Spray Nine® kills viruses and bacteria. Cleans and disinfects hard non-porous surfaces such as: machinery, equipment, tools, motors, conveyors, work benches, counters, walls, floors, siding, vents, light fixtures, garbage bins, BBQs, patio furniture, washrooms, sporting equipment, fibre glass, vinyl, rubber, plastic, ceramic, metal and more. Spray Nine® Kills: H1N1 Swine Flu Virus, influenza A2 Virus, Common Flu A2 Virus, Avian Flu H3N2 Virus, Salmonella Choleraesuis, Escherichia coli (E.coli), Hepatitis C Virus, Rhinovirus Type 37, Norwalk Virus, Herpes Simplex I and II, Poliovirus Type I, Rotavirus, MRSA, Streptococcus pyogenes, Shigella dysenteriae.